President Trump recently had a new $50,000 state-of-the-art “golf simulator” installed in his personal quarters at the White House, according to The Washington Post. 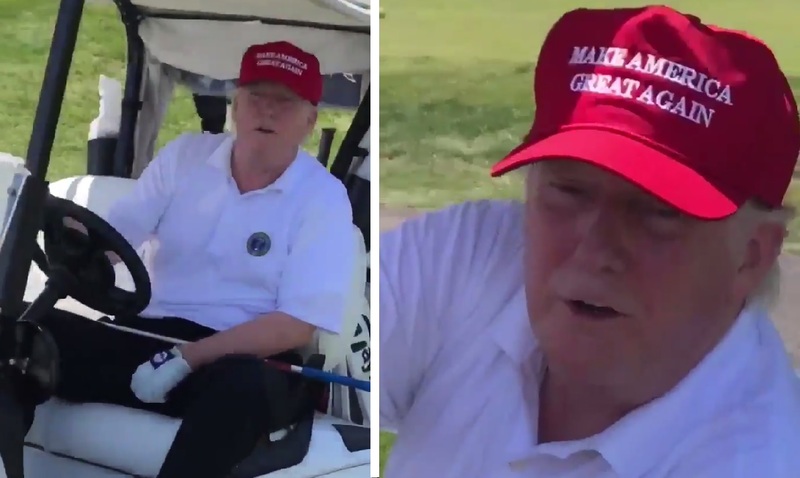 The newspaper, citing multiple people informed about the system, reported that the simulator allows the president to play rounds of golf at courses around the globe by hitting a ball into a large video screen. The system reportedly replaced a “less sophisticated” version that former President Obama had installed in the White House, two people told the Post. A White House official told the newspaper that Trump personally paid for the game and its installation. The official also claimed that the president has not used the system during “Executive Time” since it was installed. The Post notes that the simulator was installed at around the same time Trump was presiding over the longest federal government shutdown in U.S. history. Earlier this month, Axios reported that Trump had spent about 60 percent of his time in “Executive Time” over the last three months, where he reportedly watches television, tweets, reads newspapers and makes phone calls to aides, lawmakers, friends, advisers and administration officials. According to a Washington Post analysis, Trump has golfed approximately 139 times as president. Rep. Omar Clashes With Trump Envoy In Fiery Exchange: Why Should We Believe A Convicted Liar?